January passed us and February flew in, time to pre-order your Spring bulbs! They must be planted after the last frost! 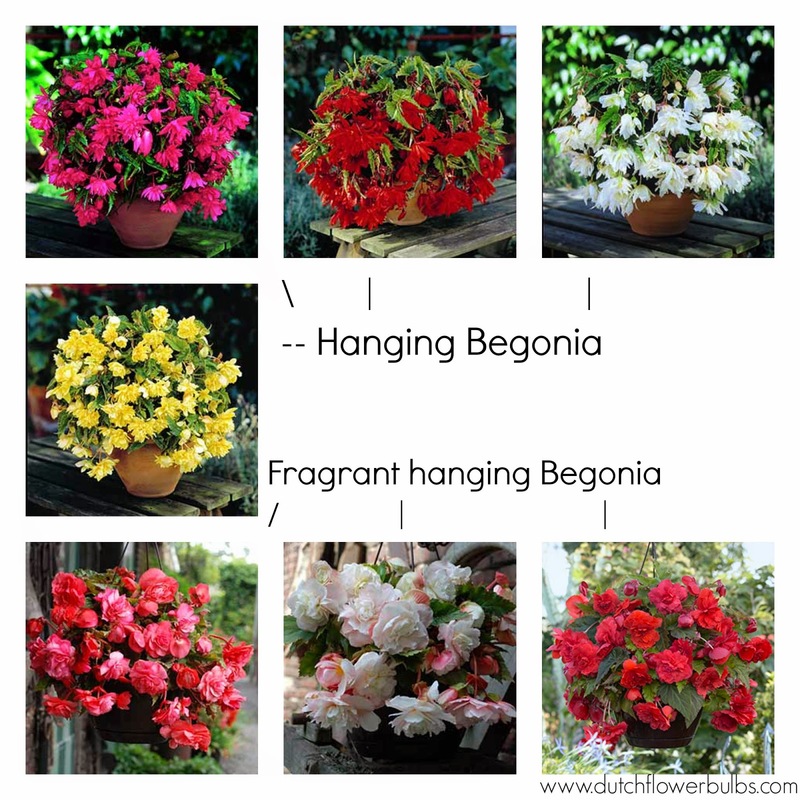 Today we wanted to tell you something about the Begonia. They have been adored for..
shade gardeners. 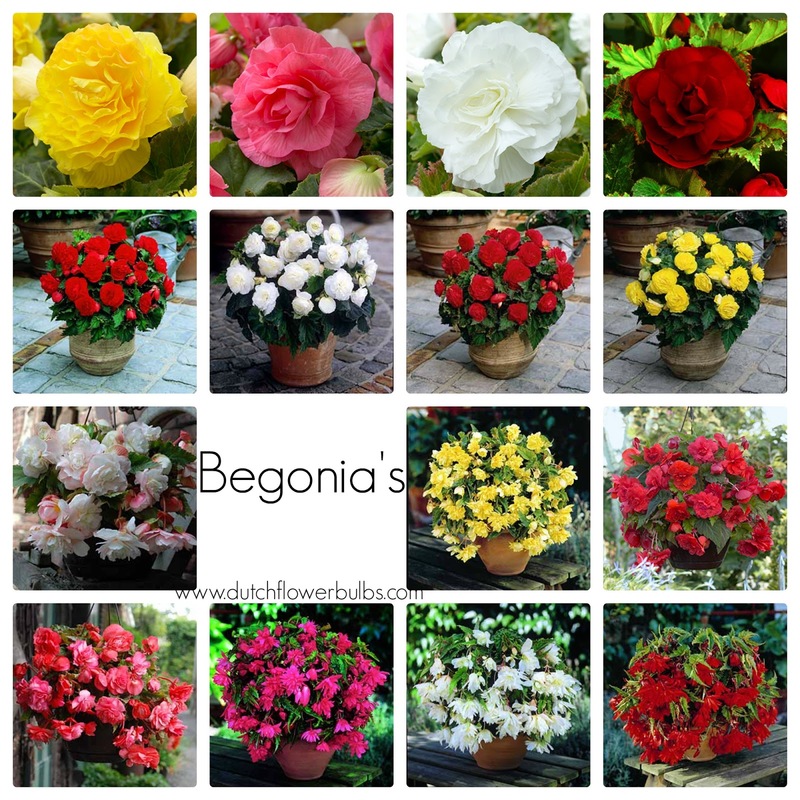 There are different kind species and we do sell the: non-stop begonia's, double camelia begonia's and the hanging begonia's. ~ Find a well-drained spot in your garden to plant your tubers, so unnecessarily water can easily flow away. 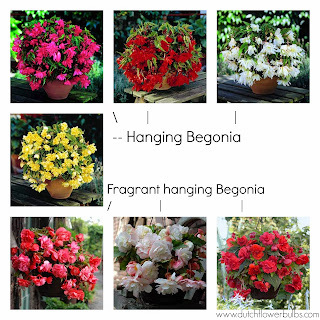 (If you use pots or hanging baskets make sure it has holes, Begonia's don't like wet feet. ~ Check your garden for shady spots, Begonia's prefer shade. ~ Dig a hole for your Begonia tuber and tuck them in, don't cover them fully up. ~ Don't cut the foliage, leaves or stalk off. ~ When the leaves and stalk are turning yellow, then remove them. ~ Water the tuber if you think this is needed. ~ After a few months, your Begonia's will begin to start blooming again. Note: Do you live in a cold area? Dig the tuber up before the first frost comes in and store them in a cool place in an old newspaper or paper bag with peat moss. 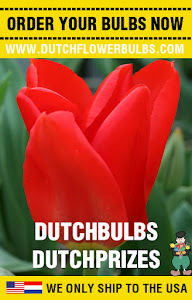 Don't want to miss anything from dutchflowerbulbs.com?